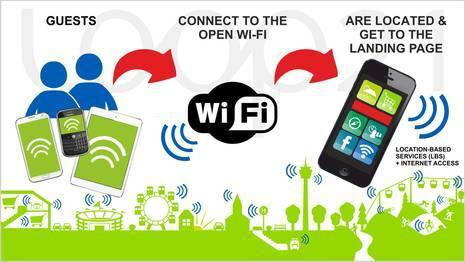 LOOP21 makes more of your Wi-Fi by communicating with your customers over their smartphones. LOOP21 Mobile Net GmbH is an Austrian service provider with 40 employees at their offices in Vienna, Innsbruck / Austria, Duesseldorf / Germany and Palo Alto / California, USA. LOOP21 develops ideas and solutions for Wi-Fi. Founded in 2008, the company has developed into an all-sector partner (retail, cities, tourism). 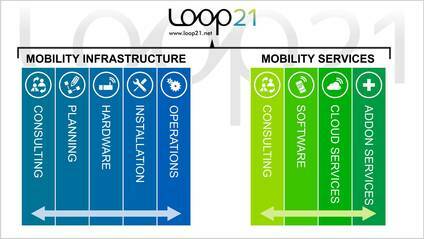 LOOP21 offers mobility infrastructure and services for Wi-Fi as a turnkey solution.